I need a crown to this old Vostok. I think the movement is 2605. It would be helpful if someone could tell what crowns are compatible with this watch. You can send me a PM. Last edited by mikkokan; January 4th, 2013 at 07:15. Could I use crown from these movements? They look quite the same but no date on these 3. Is Tschistopolski 32YH a lot different from Vostoks 2605? I dunno-- Does anyone read the Parts Wanted thread? I haven't seen this dial in the tonneau case yet, so it may be a franken, but I still like it. I would, however, like to replace the hands and the bezel. Does anyone have a spare set of hands and/or bezel? I don't know about the bezel other than getting an old watch equipped with that same bezel. As for the set of hands, try zenitar's ebay store. 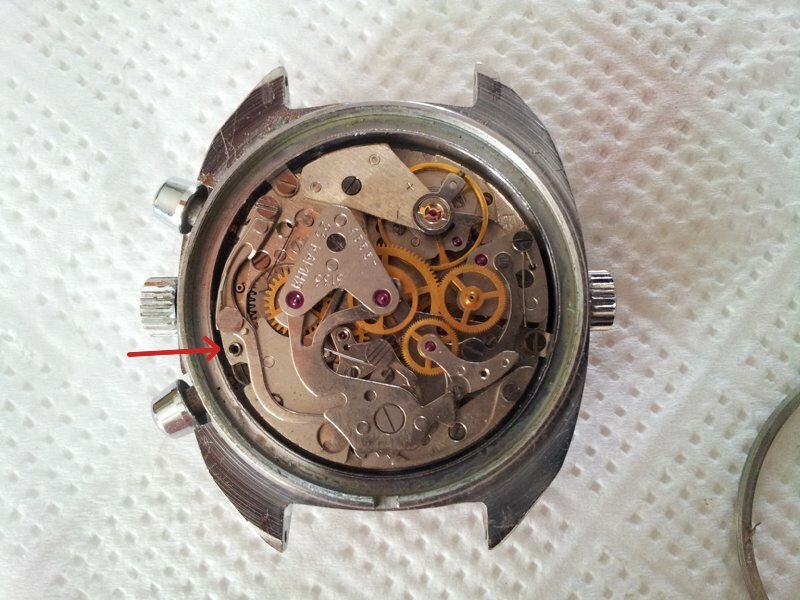 I'm not sure if this could fit in your watch mov't., but it looked very similar to the one you're looking for. I would prefer hands that are not new, as I don't think they'd match the vintage look of the watch. A balance spring for an old poljot 2612. Last edited by Czar Chasm; February 1st, 2013 at 12:45. So I attempted a bezel replacement on a Vostok Amphibia. I got the original bezel off easily but had some trouble making the Murphy stay put, so I put it aside for a time. Now I cannot for the life of me find the wire retaining ring that fits between the bezel and the watch. Is there any hope foe me to fing another retainer?